As if Movie World on the Gold Coast wasn’t a big enough attraction. Now this massive entertainment precinct is set to be invaded by golfers as well following the revelation that leading US-based entertainment company Topgolf will open its first Australian venue there by the end of next year. 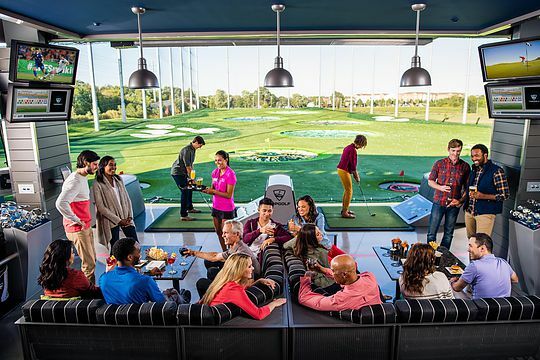 The new $35m attraction will feature golf games for all ages and skill levels along with a chef-driven menu, drinks, big-screen TVs and music held in climate-controlled suites. And when it opens in the middle of 2017, Village Roadshows, who have acquired the exclusive rights to bring Topgolf to Australia, expects up to 500,000 people to walk through the doors in their first year. Spread over about six hectares, Topgolf will share the area with a nearby nine-storey hotel and lakeside precinct boasting bars and restaurants, also in the development stages. According to Village Roadshows CEO of theme parks, Tim Fischer, the Gold Coast has been missing something like the Topgolf concept, which will open until late in the evenings. “I’ve just been at the opening of the Las Vegas Topgolf and while it’s a much larger market there I see similarities in terms of loyal tourists and the market,” he said. The Topgolf in Las Vegas that Fischer was referring to features 108 hitting bays, six flashing multi-coloured targets, bars, large TV’s beaming whatever is happening in sport, a concert venue, a Callaway Golf fitting studio, two pools and a fully-stocked pro shop, spread across four levels. It is believed the Gold Coast complex will be similarly set-up. Village Roadshow intends to open eight Topgolf venues throughout Australia during the next eight years.